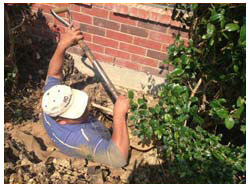 At HD Foundations, We’re Foundation Repair Contractors That Offer Solutions. Avoid Issues. Looking for foundation repair in Mansfield, TX? HD Foundations can help. Our company knows how to solve foundation problems and offers a great guarantee. We also provide free estimates. If you need expert foundation repair contractors in Texas, call us. We’re a Better Business Bureau (BBB) affiliated company with an excellent rating. 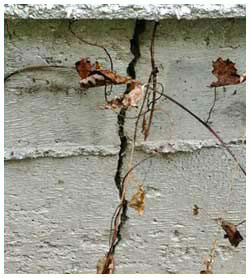 We stop structural foundation damage and cracked foundation repair issues. We’re residential foundation repair contractors. We’ve performed house leveling service for years. We restore pier and beam foundations as well as cracked concrete slabs. Our company offers its customers solid foundation repair solutions. We deal with water damage is crawl spaces. If mold and mildew is an issue, HD Foundations can perform crawl space repair. We’re a North Texas company that stands behind its work. 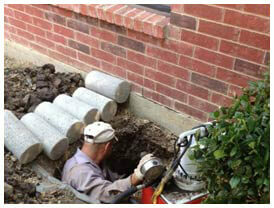 We offer our Johnson county, Dallas, and Tarrant county customers a solid foundation repair warranty. We service customers throughout the Dallas, Fort Worth metroplex, including local cities like Arlington and Grand Prairie, too. We’ll stabilize your house by installing pressed foundation piers. When performing foundation repair Mansfield customers need, we install concrete foundation piers or pressed steel piers. HD Foundations installs and adjusts foundation shims. If your house needs to be re-shimmed, rely on us. HD Foundations prevents your foundation from heaving. We stop sagging in pier and beam structures, wall cracks and ceiling gaps. Our repairs prevent damaging slab foundation cracks and exterior brick cracks. We put an end to sloping floors. Find out more about our lifetime guarantee on foundation service. Our transferable warranty protects your concrete slab or pier and beam foundation for years to come. For a foundation evaluation in Mansfield, just schedule a free foundation repair estimate online today.